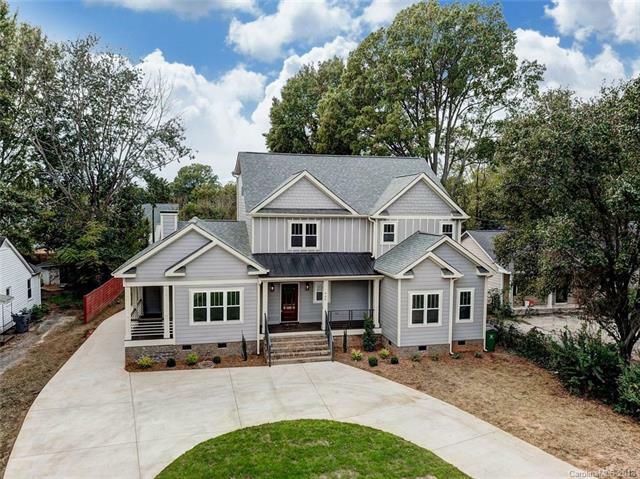 Beautifully crafted NEW construction home w/detached garage on desirable lot in Sedgefield. Three stories w/ finished upper floor, features 10 ft ceilings down & heavy moldings throughout. Quartz counters and tile. Covered front, side and back porches, fire pit, and private fenced backyard are perfect for entertaining! Every material of this home have been meticulously chosen. The modern open floor plan & outdoor space is great for entertaining. The kitchen, complete w/. french door refrigerator, is open to living & dining rooms. The Master Suite includes his/her closets, an impressive bathroom w/ 2 separate vanities, & large tiled shower w/ glass enclosure. Third floor offers a spacious entertainment/bonus room that could be 5th bed. Every BR and bath in this home is extraordinary, For added comfort, tankless water heater, multi-zone heat/AC. Must see to appreciate the detail in this custom built home. Complete the form below and one of our agents will contact you. Or, if you'd rather, you can reach us via phone at 704-572-1384.